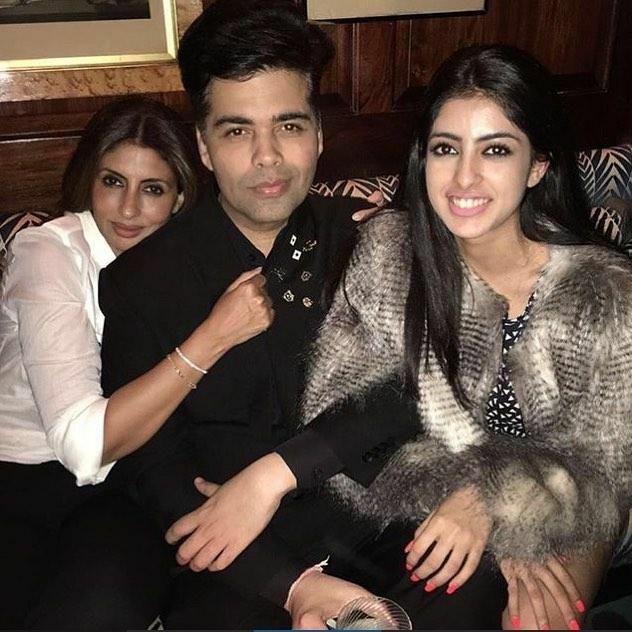 BFF Shweta & Her Daughter Navya Join Karan Johar’s B’Day Celebrations in London! As reported, Karan Johar ringed in his 44th birthday in London last night. His close friends SRK-Gauri, Kareena-Saif, Ranbir-Katrina, Sidharth Malhotra, Zoya Akhtar and Shweta Bachchan Nanda were with the actor, along with Hiroo Johar for the big celebration. So while trying to dig in the pics from KJo’s birthday album, we got our hands on the picture of the director posing lovingly with his BFF Shweta and her darling daughter Navya. With all the warmth and love flowing in the picture, should we consider that Navya is KJo’s next muse, like Alia Bhatt?